31.5 +/- acres of beautiful land to build your dream home. Several tree lines to create a more private setting, a pond and fields. The perfect spot to claim as your own. Call agent to walk the property. 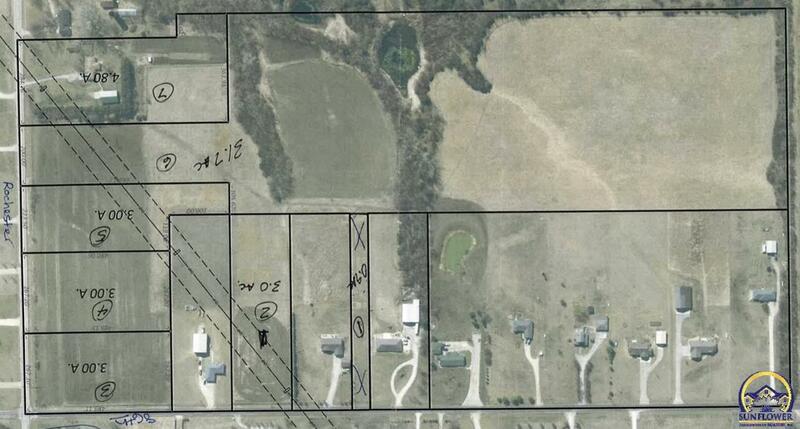 8433 Rochester RD (MLS #206369) is a lot/land listing located in Topeka, KS. This property was listed on 03/29/2019 and has been priced for sale at $135,000. Nearby zip codes are 66440, 66509 9603, 66512, 66608 and 66618. This property neighbors other cities such as Hoyt and Meriden.